Took a walk downtown today to celebrate gorgeous weather and to buy Hugh a suit for NAB. Our first gorgeous day in over a week and the streets were filled with happy people soaking up the sun. 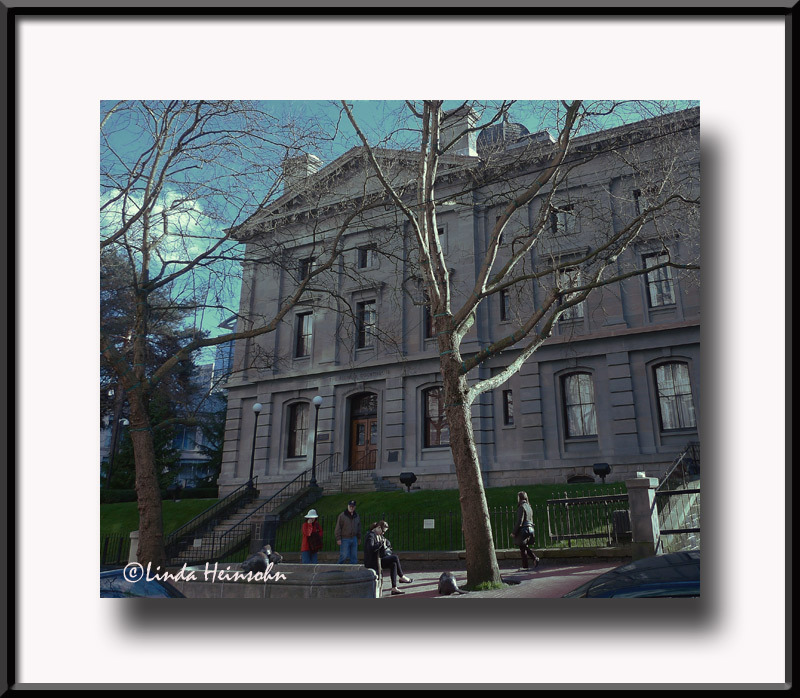 I loved the light reflecting off the Macy's building and onto the north side of the restored Pioneer Courthouse. What perfect luck I had to snap the shot which included a woman in a red coat!